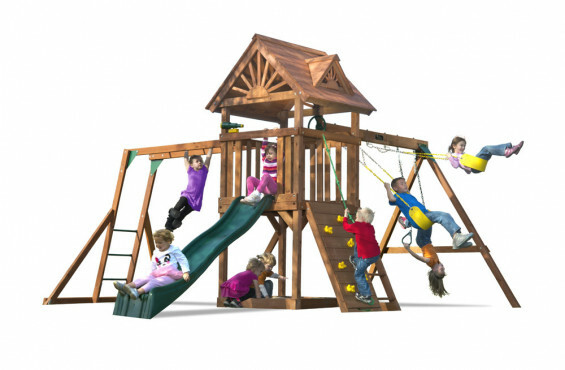 Looking for a design or swing set accessory you don’t see here? 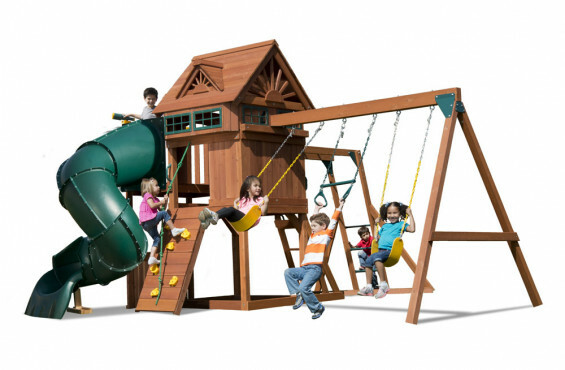 Want to customize your own swing set? 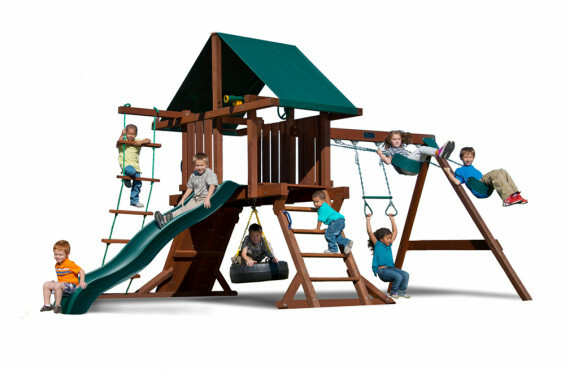 Click the buttons below! 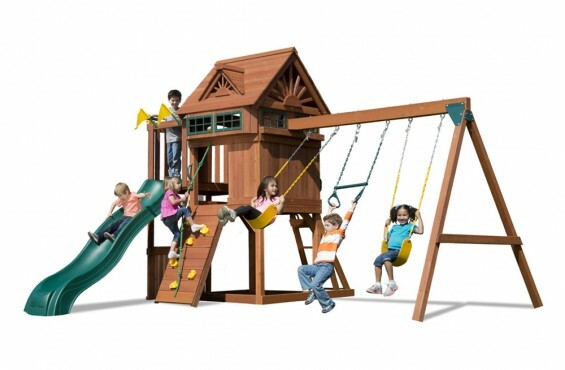 Want to customize your own swing set? 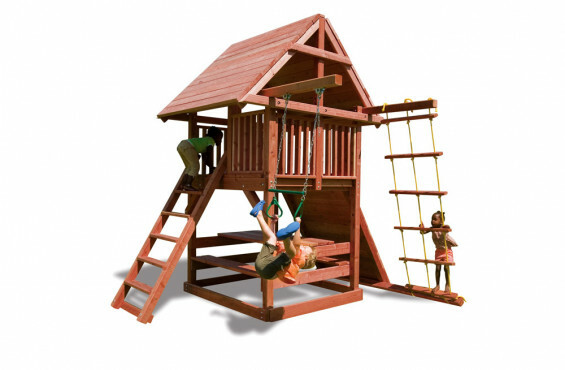 From the simple to the spectacular, you'll find a wide selection of wooden swing sets to choose from. 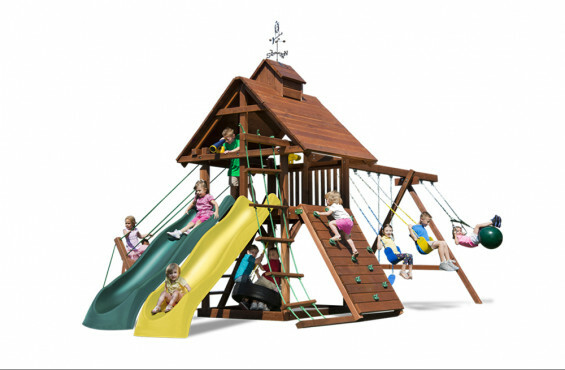 But, if you don't see exactly what you're looking for, we invite you to design a swing set of your own. 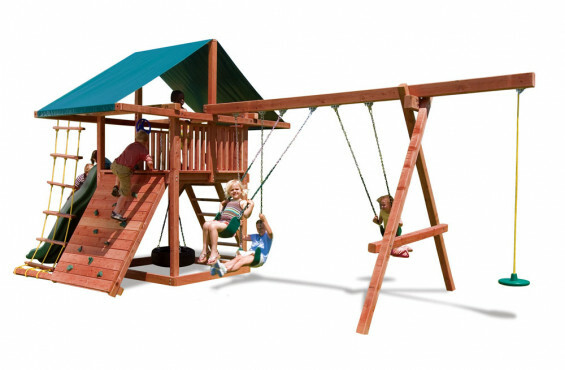 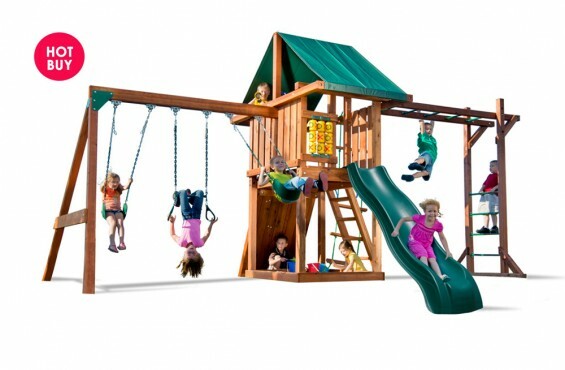 Value Cedar: Features swing sets made out of imported cedar. 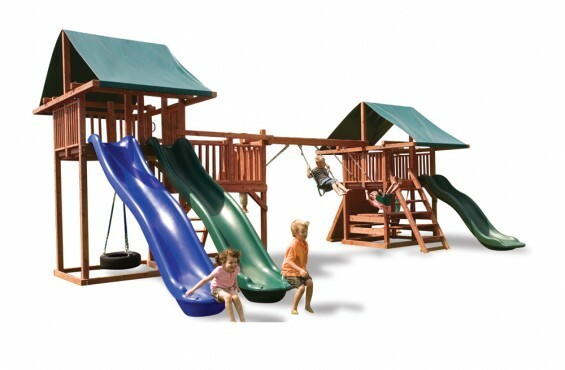 This is our value oriented series that has some of children's favorite play activities. 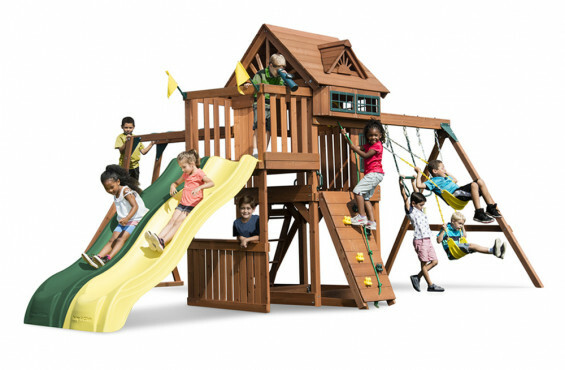 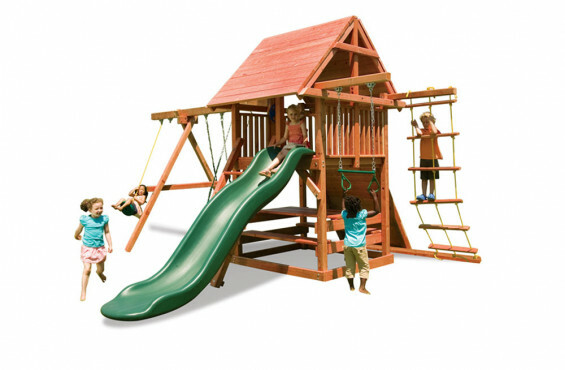 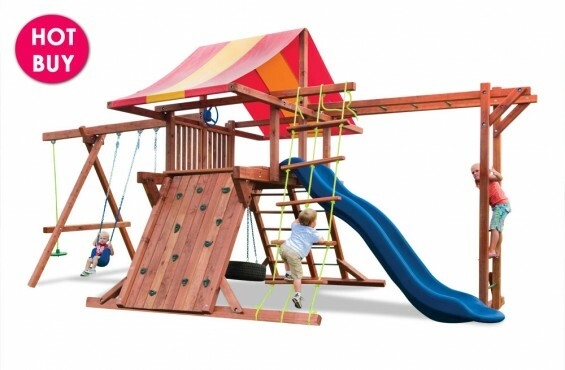 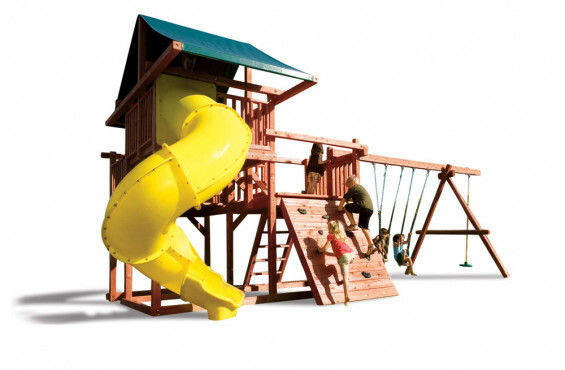 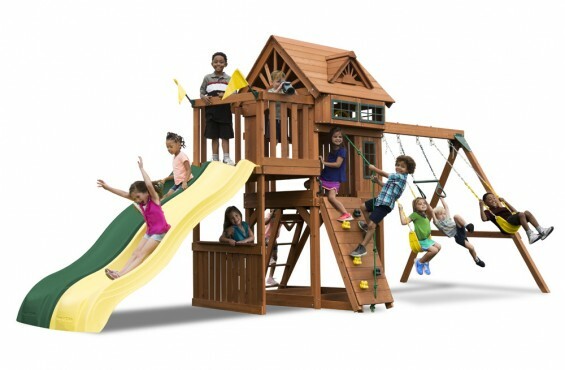 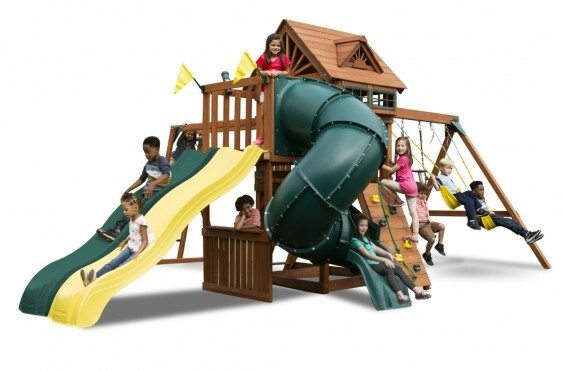 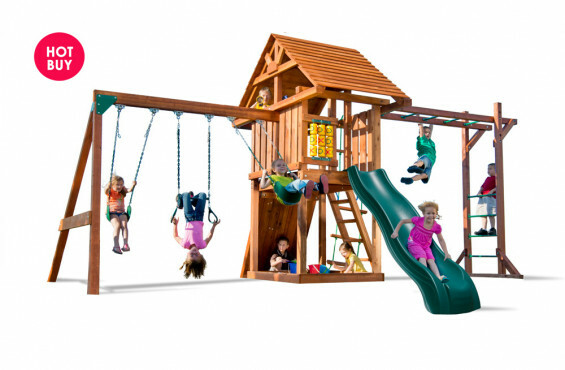 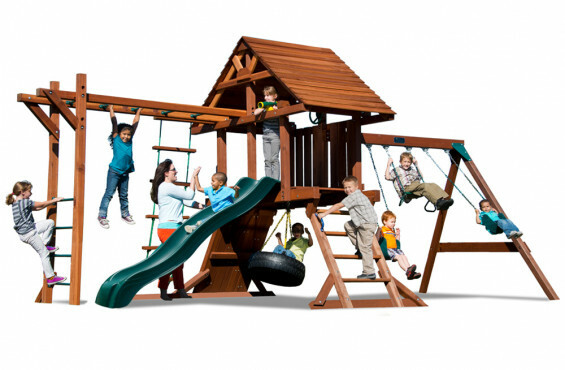 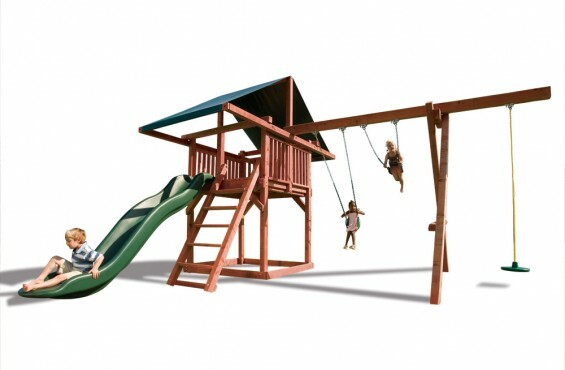 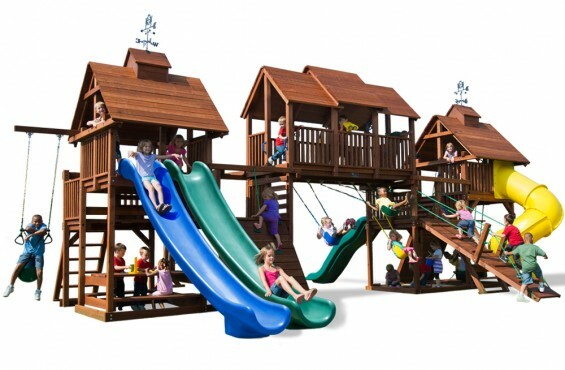 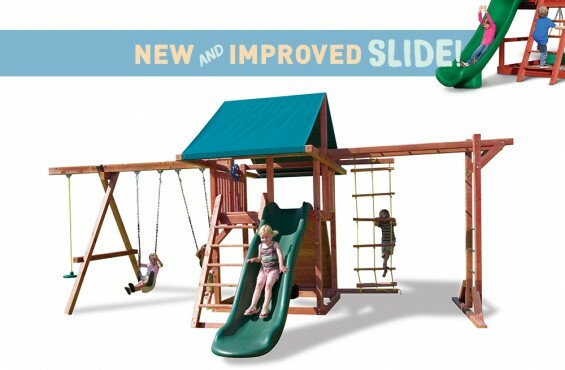 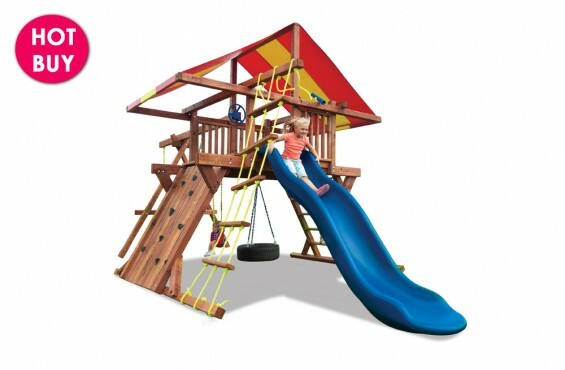 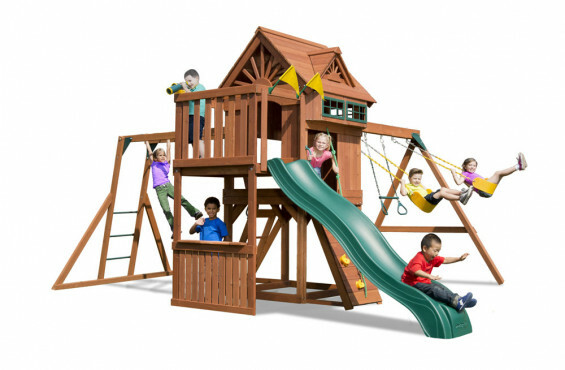 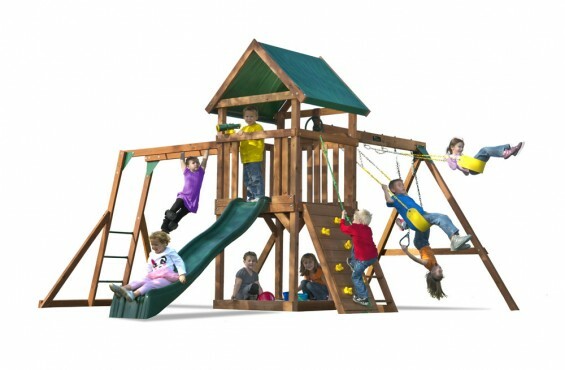 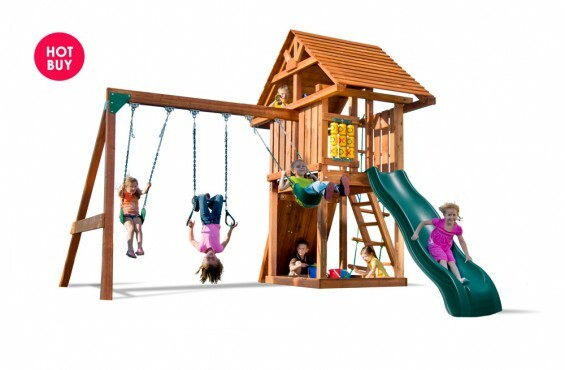 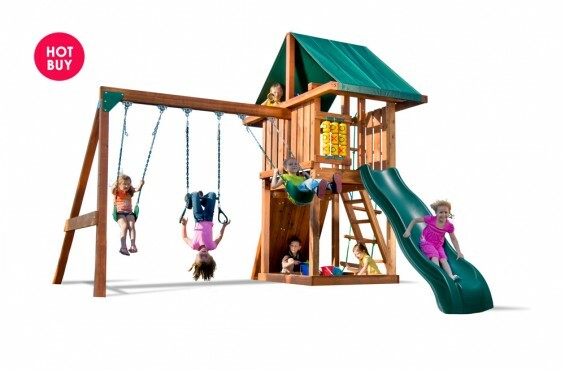 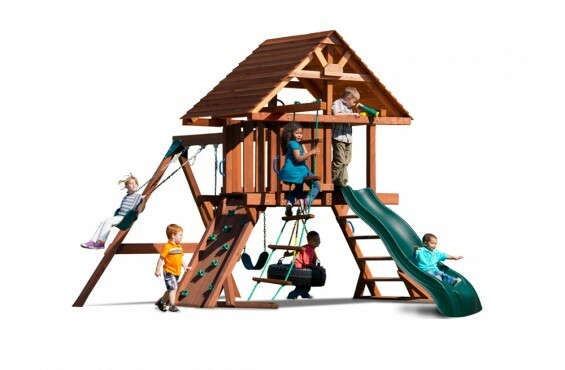 Signature Redwood: This is our budget friendly series that showcases our high performing redwood play sets. 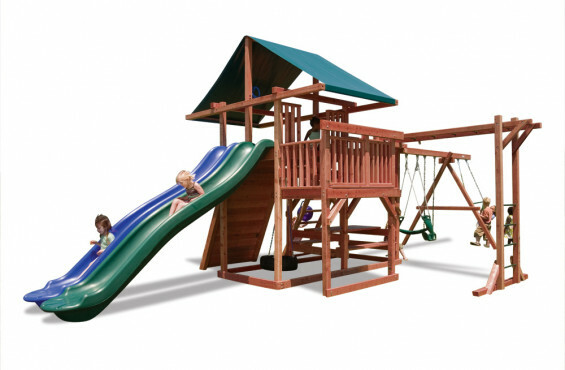 Premier Redwood: When you think of this series, think big. 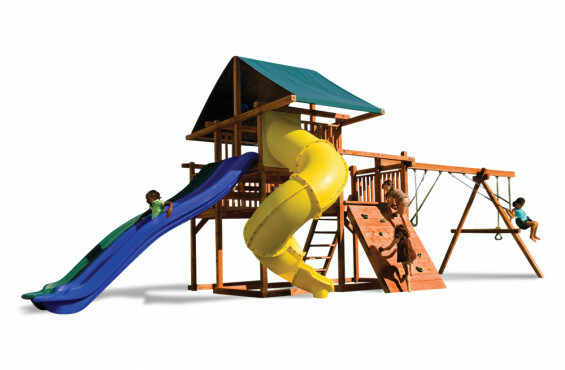 This series features larger play decks with balconies, multiple slides, sand boxes and rock walls. 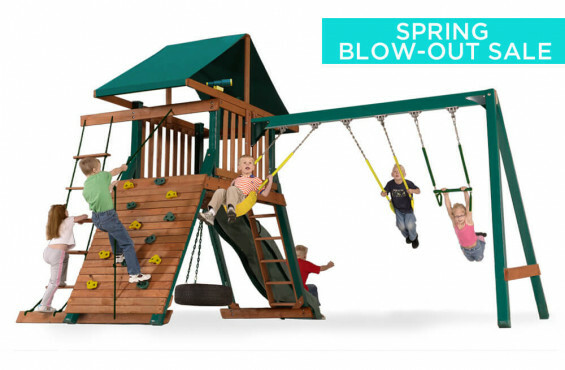 Design Your Own: Try out our easy-to-use designer and create your own swing set online from scratch. 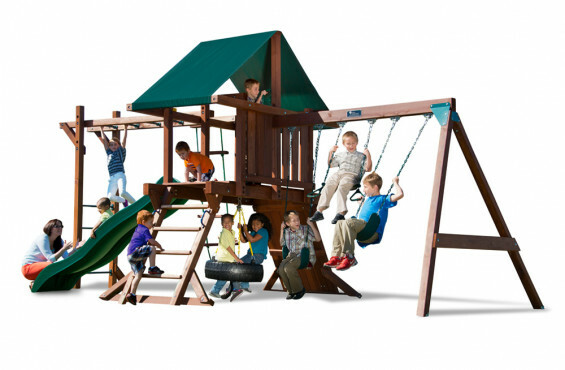 What series is right for my kids? 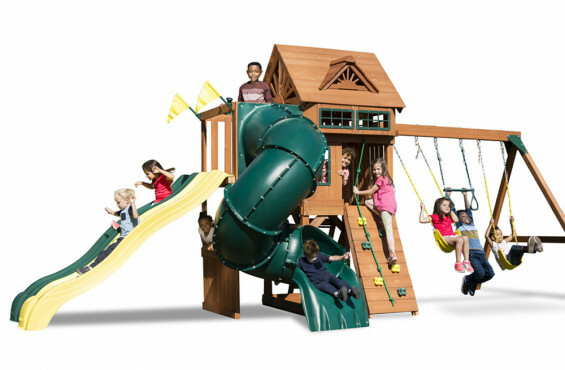 Click here to see our series comparison chart to get a more in-depth look at the differences in each series. 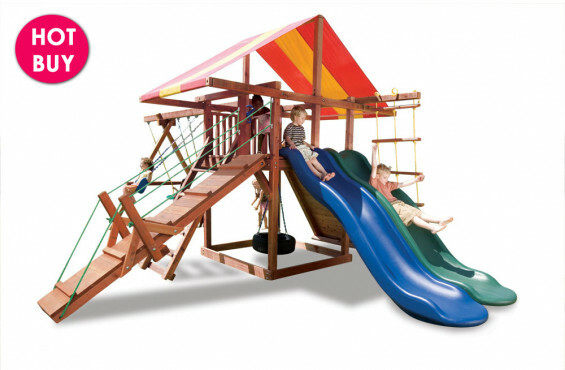 Upgrade your child's backyard adventure! 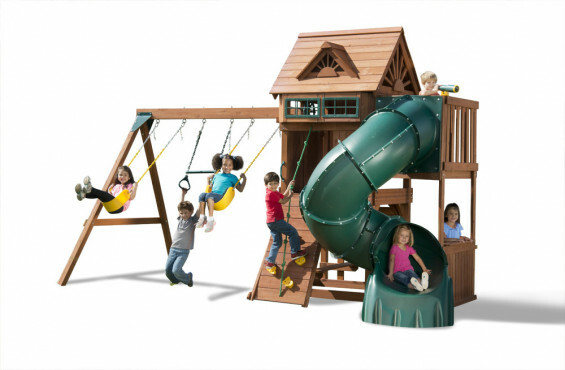 Shop our wide selection of swing set accessories.